More than a simple cot for your bub to rest their sleepy head, the Kurve cot is a sleek cot, a toddler bed and a desk – all in one! 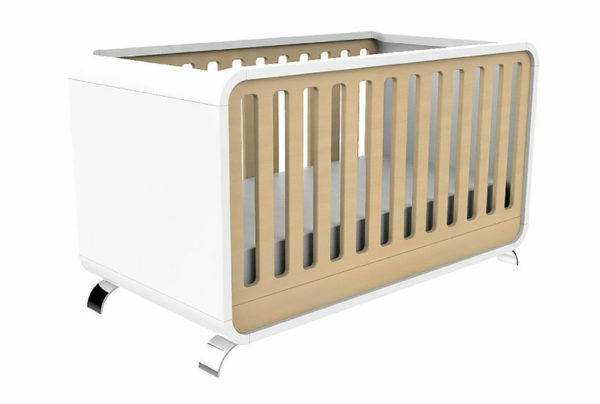 Oozing with contemporary cool style, the Alondra Kurve cot delivers a punch of designer style to the nursery with its stunning good looks in bold white and warm oak tones, rounded corners and polished chrome steel feet. The ultimate value for money piece, the Kurve promises to live on long after your little one outgrows the cot. The Kurve morphs from cot to a handy toddler bed, to a desk. That’s some serious mileage from a single piece of nursery furniture! 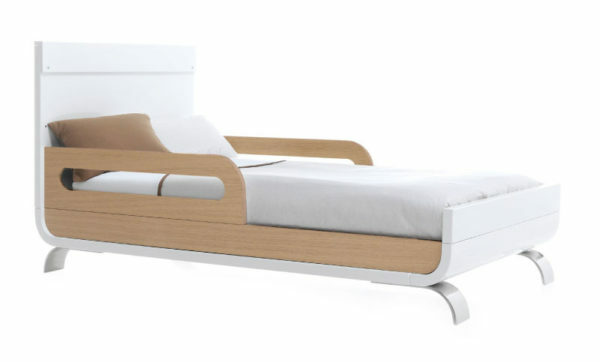 The Kurve cot and toddler bed kit is priced $2499 and available from Cute Co.